How to create a video? The next option is, if you want to use Recorded Timings and Narrations even the laser pointer gesture or Not. If you have selected “Don’t Use Recorded Timings and Narrations” you have an option below to enter “Seconds to spend each slide” – this is good if you’re making a Photograph Slides Album. You can Preview your Timings and Narrations just by clicking the option. 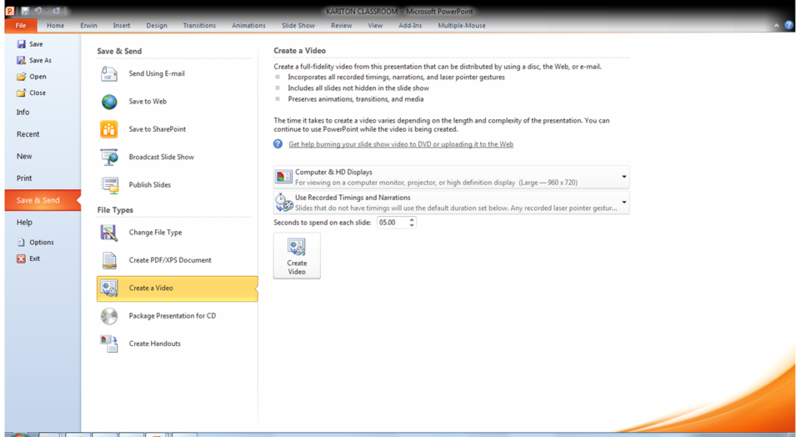 If your presentation doesn’t have Timings and Narrations, just simply click Record Timings and Narration. 6. After you’ve finished with the configuration setting, just click the “Create Video” Button and save it to your folder. Saving it as a video takes time depending on the option you’ve selected. It would be better if you’ll compress the video first, before saving it as a video; to save disk space and improve playback performance. 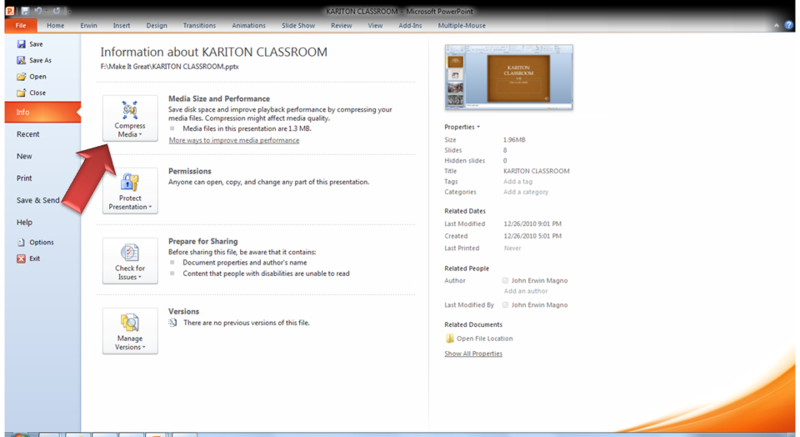 Here are some videos I’ve made using this new feature of PowerPoint 2010. This first link is for the Microsoft Innovation Center to invite students to participate or attend the MS Office 2010 session with Mr. Chester Colonel MVP for Office System. This entry was posted on Friday, July 23rd, 2010 at 7:33 pm	and posted in New Features, PowerPoint. You can follow any responses to this entry through the RSS 2.0 feed.